Background/Info: Marco Biagiotti and Yone Dudas are back on track unleashing their 9th full length album of their sonic brainchild Decoded Feedback. I always have had a particular empathy for the band because I know them from their very first steps, somewhere in the 90s where new bands were releasing cassettes in search of a label. And Decoded Feedback have already worked with an impressive list of leading electro labels like Zoth Ommog, Bloodline, Out Of Line, Dependent and now Infacted Recordings while they remain faithful to Metropolis for the US. This album is their first full length in 4 years. Content: Decoded Feedback really has their sound, which is inspired by EBM, and also by melodic dark-electronics. It’s not a stereotypical formation, but a band with an own and easy recognizable sound. “Dark Passenger” sounds in the purest tradition of their sound DNA. 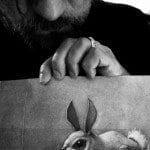 They didn’t really change that much with the inspiration and studio arrangements and yet I think the new work reflects a certain accomplishment, which they never reached on previous work. The sound is dark and tormented while constantly supported by carrying synth lines. There clearly is a kind of retro-touch reminding me of some 90s productions, but there also is a refreshing element on top. The main evolution is the global writing, which became more elaborate and achieved with great sound treatments. Some deep blasting sounds might remind you of Covenant while the global atmosphere hanging over some cuts is in the line of In Strict Confidence. There also is a part of minimalism on the creative cover version of “Warm Leatherette” featuring Yone singing. Marco remains the lead singer and his growling timbre of voice is once more totally appropriated to the dark body style of this work. + + + : This album is carried by a great writing and global production. It’s hard to say if there’ll be a few hits on this album, but I’m sure there’s a real huge potential hiding inside this release. The previously released EP “Waiting For The Storm” already featured a great piece of music, but there’s more to find on the album. – – – : If there’s one little point they could improve for further work is maybe adding a little bit more diversity in the global writing. All the songs are pretty comparable, but who cares when the result is cool. 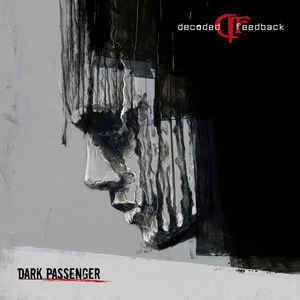 Conclusion: I thought Decoded Feedback would have no more surprises for me, but “Dark Passenger” is an album that will take you by surprise. Those veterans still have a lot to teach to young and ambitious formations. Best songs: “Behind My Smile”, “How To Destroy A Planet”, “Waiting For The Storm”, “Now And Forever”, “Warm Leatherette”, “Duality”.